Our custom-built Afogrill™ Select for deli solutions combines two methods of heat transfer when grilling or roasting, namely infrared radiation complemented by classic convective heat. Both methods of heat transfer are independently adjustable and controllable. 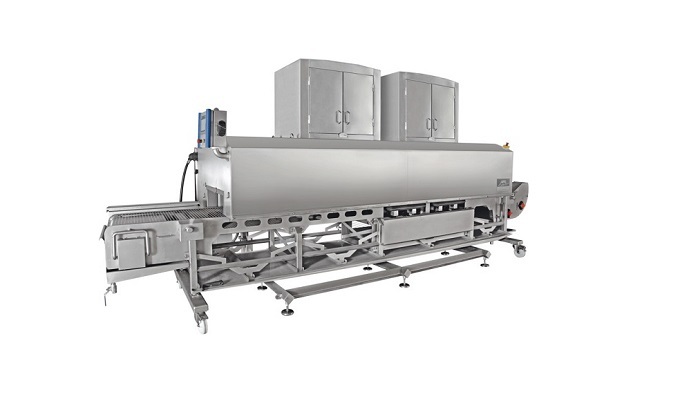 When processing bulk products, such as deli meats or whole birds, the Afogrill™ Select offers the highest customization possibilities for your one-of-a-kind products.